B2C businesses need to put their best foot forward at all times—especially online. As a business owner, you know that the way you present your brand is crucial for its success. Yet many owners under-estimate the impact their websites have on their customer base. While they focus on their store location, attend industry conferences to drum up business leads, their website fails to provide right level of brand support. Make no mistake: if you set a good impression in person, your contacts will look your business up online. They want to learn more about your company while they consider making a purchase. And if your website doesn’t sell your business as well as you did in person, they may leave disappointed and hesitant. 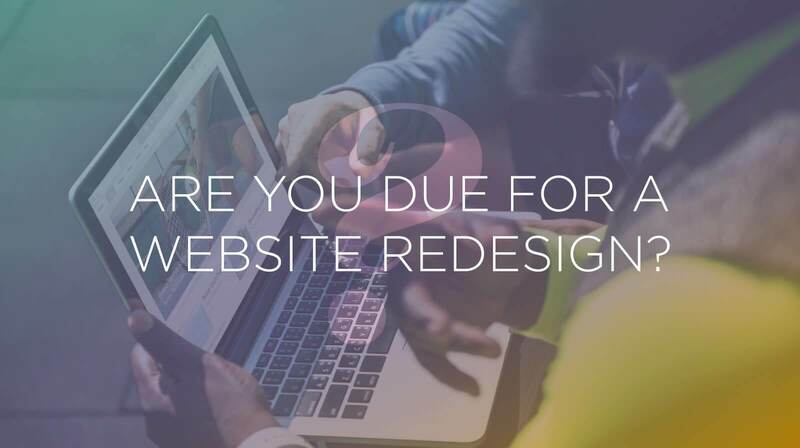 So if it’s been a while since your website went through an update, it may be time to take a closer look at the way you present yourself online and consider a redesign. First off, take a look at your competition. How do you compare? For many businesses, seeing how their competition (or their peer group) have upgraded the look and feel of their websites can be a real wake-up call. Your website may look fine until you compare it to everyone else’s—and believe me, even if you aren’t comparing, your customers are. We often start our redesign projects with some competitor research. We talk with the client to identify a competitor group that includes their peers as well as some aspirational brands that set a standard for them in terms of look and feel. This approach helps our clients recognize the need for their own rebrand, while also aligning our teams around the desired look and feel of the new site. How many years has it been since your last redesign? Until recently a shocking percentage of B2C business owners didn’t even have a website. Fortunately that’s changed, but if you’re one of those savvy early adapters who moved online in the early 2000’s and haven’t updated your site since, you’ve long since lost the marketing edge that your initial website brought you. Of course, your website doesn’t need to be even that old to be in dire need of a rebrand. Design trends come and go, and online, they’re often driven by technological change. If you work with a good design team, your website will hold its own for a good two or three years. But after that? Time for an upgrade. Does your current website sufficiently serve your purposes? Design for many owners is a cosmetic issue, but it’s also a practical one. Let’s say you mostly like your site, but you can’t use it very well. Maybe the content management system isn’t all that great, and you struggle to update the information on your service pages. Or maybe you want to expand your company page to showcase some of your star staff members. If you catch yourself wanting constantly running into barriers when using your website, it’s probably high time for a redesign. Have your products and services changed substantially? Sometimes, as businesses adjust, innovate, and grow, their products and services change with them. But, if your website doesn’t represent those changes to your visitors, its letting you down. Instead, look for ways to use your new design that reflect your updated service package. One of our primary goals with businesses is to identify their most important products and services, then design the messaging and user flow of our websites around accomplishing these goals. If your website doesn’t direct users toward the right areas of your site, a design update can have a tremendous impact on your business. Sometimes a redesign is a whole lot more. If your brand needs an update, it means you need to go a whole lot deeper than updating a logo. Along with all the usual print collateral (business cards, fliers, signage, brochures), your website’s look and feel, as well as all the messaging on the site, will need to be redone to reflect your new brand identity. In fact, your website is probably going to be one of the focal points of your brand refresh. After all, it’s likely to be the most complete and accessible repository of images and copy related to your new brand. If you can nail it on your website, much of that work can be translated to the rest of your business. Is there new technology or functionality you could be using? You may not be a tech business, but that doesn’t mean your business isn’t profoundly affected by the tech industry. Especially when it comes to websites, innovations in technology can revolutionize the way you do business. For instance, if you’re a salon and spa, your visitors almost assuredly want to book and confirm appointments online. A scheduling function—especially one that works on mobile—can increase your bookings. And with convenient confirmation reminders, you’ll face fewer missed appointments. Your website redesign isn’t just about keeping up—it’s about setting the standard. Here’s another way to look at things: if you look around at your competitors and think you’re not falling behind, then you’re also not getting ahead. Instead, you’re lost in the middle of the pack. Your website is a chance for you to stand out. To differentiate. To remind your visitors why they came to you in the first place: because you deliver excellent service at a great value for people just like them. You wouldn’t go to an important meeting dressed in T-shirt and shorts, and you wouldn’t open your store if the floor was dirty and the shelves in disarray. An outdated and dysfunctional web design will let you down in the same way. If you aren’t confident your website has your back, it’s time to redesign.